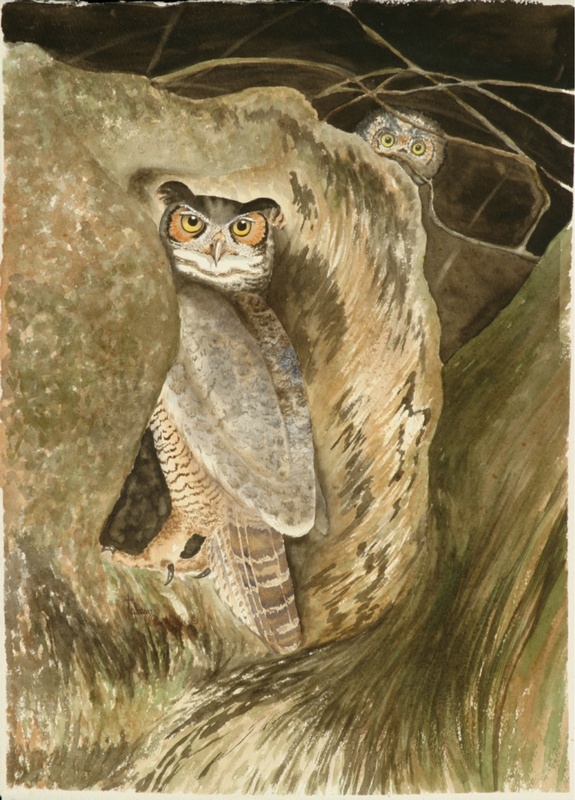 I love to hear the Great Horned Owls calling to each other. This painting originated from one of Denny Bingaman’s photographs. I was very intrigued by the texture of the tree and the bird. Then I saw the little one peeking out from above.